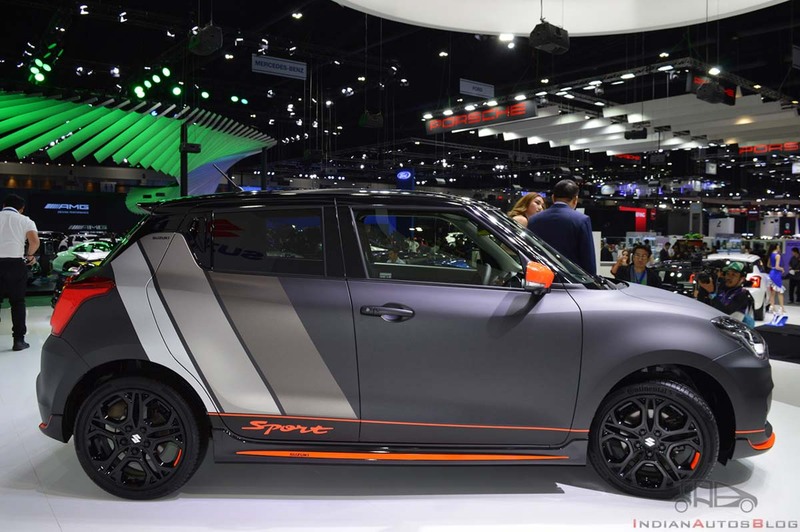 Suzuki has displayed a special version of the Swift Sport model at the Thailand Motor Expo of this year. 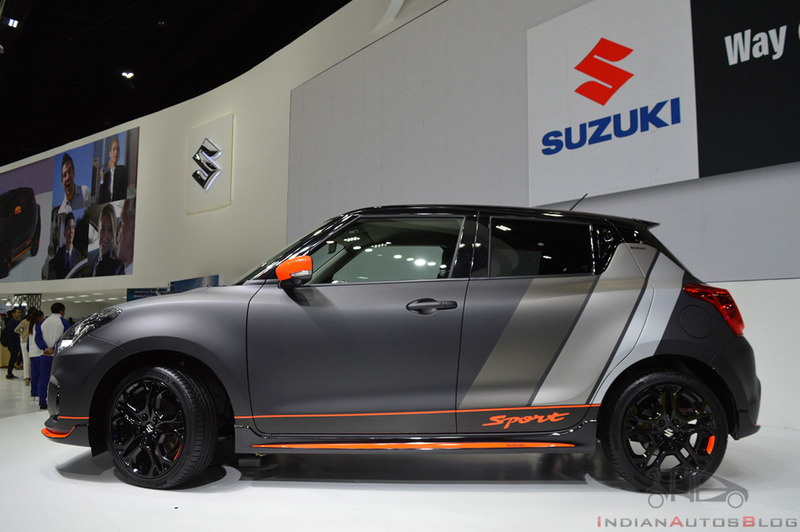 Called Suzuki Swift Sport Auto Salon Version, this sporty small car made its debut at this year’s Tokyo Motor Salon. Based on the most powerful version of the highly successful car, this model looks very sporty due to several modifications to its design. 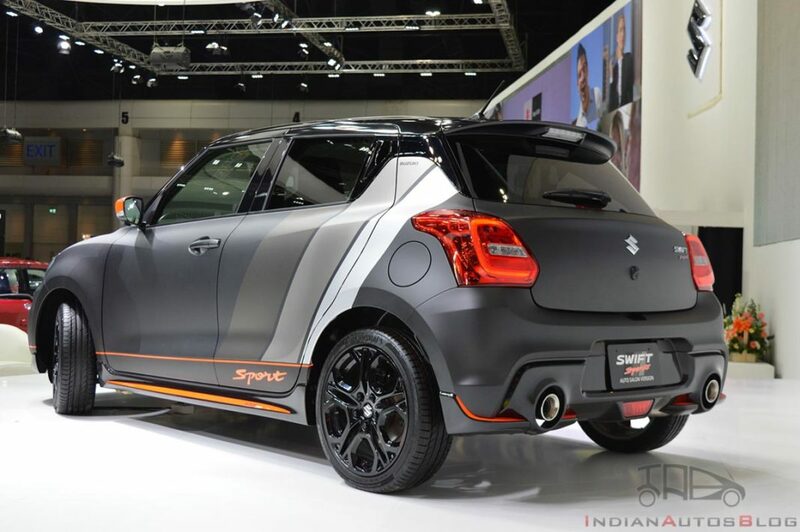 The Suzuki Swift Sport Auto Salon Version wears a special paint scheme that has been taken from the Suzuki GSX-R1000 litre class superbike. The front of the car has bright orange paint on the bumper diffuser and also carries a satin grey coloured frame for the radiator grille. 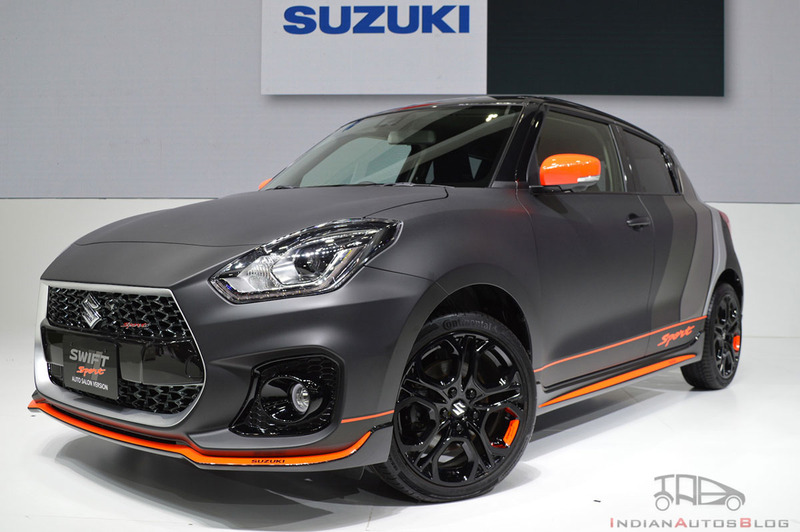 In the side, the special edition of the Suzuki Swift Sport gets multi-colour decals at its rear portion, orange paintwork on the side skirts, same orange paint on the ORVMs, and black-coloured alloy rims. The wheels of the Suzuki Swift Sport are colour coordinated with the roof, which has a similar paint finish. The rear gets a sporty bumper that houses stainless steel dual exhaust tips and a massive spoiler. Dimensionally, the Auto Salon Version is the same as the standard Suzuki Swift Sport. It is 3,890 mm long, 1,735 mm wide, and 1,500 mm tall. Under the hood, you can find the K14C 1.4-litre turbocharged petrol engine that is capable of pumping out a max power of 140 PS and a peak torque of 230 Nm. Gearbox options for this car include 6-speed manual and 6-speed automatic. While the Suzuki Swift Sport has been ruled out for India, our exclusive report that came out a few weeks ago broke the news of an upcoming Swift RS edition. The upcoming model will be having the K10C turbocharged petrol engine of the Baleno RS. It will rival the Tata Tiago JTP and will become the most powerful Swift to have ever been sold in the country.